An Explainer on Third-Party Material. The focus of this document is the proper use of third-party material in the documentation of your work. It is meant as a adjunct to ACM’s existing policies on this subject, not as their replacement. You are strongly encouraged to read those policies. Q: Do I need to read this document? Q: What is “documentation,” anyway? A: In this context, “documentation” is the material you create that describes the work you’ve done, and will be presenting at an ACM-sponsored event. Examples of “documentation” include – but are not limited to – technical papers and briefs, abstracts, course notes, essays, and the slide decks and other materials you use during your in-person presentation and/or “fast forward” session at the event. Q: What is “third-party” material, anyway? A: It is anything you are using in your documentation that you or your co-authors did not create. Still images, movie clips, audio, quotes… all of these are third-party material. Q: Does ACM have existing policies or guidelines on using third-party material? A: Yes, they do. Each of these three links contains useful information about third-party material. Q: Why do I need to identify the third-party material in my documentation? A: Clear identification of the provenance (ownership) of all of the components of a document in the Digital Library is important for the proper handling of requests for reuse. When ACM receives a request to reuse an image or images from a particular document – an article published in the ACM Transactions on Graphics journal, for example – ACM personnel need to know HOW to appropriately respond. If ownership of the image is retained by the author of the original work, then ACM can direct the requestor to the author of the original work. If copyright of the images was transferred to ACM, then ACM grants the reuse. If the image is third-party material, then ACM can direct the requestor to the appropriate person or organization. If the image is in the public domain, ACM can provide that information in their response. Q: How do I identify an image as third-party material in my documentation? A: Third-party material should be identified as such in the caption of the figure. No specific format for the identification is necessary, though the identification should (a) be unambiguous and (b) include the owner’s name or preferred attribution. The URL of the image’s location is optional. If the content cannot incorporate an ownership attribute – an audio clip or movie clip, for example, the identification must be made in the text of your documentation, as close to the material as possible. Please do not gather all of the third-party material identification in the “Acknowledgements” section of your documentation. Teapot image © Andrea Brown. “$50.00 War Bond Poster” is from Wikipedia (public domain). Seashell image (left) courtesy of OrangeRepublic LLC. Q: How do I identify third-party material on my rights form? A: Part III of the rights form is the location for identifying the third-party material used in your work. The “Original Third-Party Source” field is where the material is made available. Typically a URL. “Approved by” is the name of the person or entity who has granted you permission to use this material. “Date Received” is the date upon which you received permission to use this material. If you are identifying material in the public domain, or wish to claim “fair use” for a particular piece of material, that notation would go in the “Approved by” field. Q: Wikipedia says the image I want to use is in the public domain. Do I need to identify it as third-party material, because I don’t need to get permission to use it? Q: What is “fair use” and can I use that as rationale for using someone else’s work in mine? A: Not easily. A fair use claim must be justified by the four factors noted in U.S. Copyright law as a defense against claims of infringement. The reuse should clearly be in teaching (nonprofit educational use), criticism or parody. The other possibility is where the image(s) are repurposed in such a way that it “becomes” something else, having a different perceived value to society than the original work. This is called transformative use. Q: I’m using an image from my colleague’s already-published paper to compare his research methods with mine. Do I need to get permission to use that image in my paper? Q: I used images from a dataset in my research, can I use images from that same dataset in my documentation? A: Potentially, yes. The use of publicly-available datasets in your research is undoubtedly a permitted activity. Publishing content from those datasets, however, is a more complicated matter. It is often the case that a dataset is constructed by collecting images from various sources, without regard to ownership or usage restriction. Subsequent publication of content from those datasets becomes difficult because the provenance (ownership) of the content isn’t readily available. Q: I found some great images of (celebrity name) on a fan site. Can the person who runs that fan site grant me permission to use those images in my presentation? A: Probably not. It’s entirely likely that they do not own those images, that they’re using them without permission, and as such, they cannot grant you permission to use them. Q: What about Creative Commons licensing? A: There are six different Creative Commons license types, and you should read their requirements very carefully. While most do not require explicit permission of the owner to reuse, you must seek explicit permission from the owner of any content tagged with the “NC” (meaning “non-commercial use”) license type before using it. (This is not a “non-commercial use.”) Additionally, pay close attention to any attribution requirements. The owner may mandate a certain attribution, and you need to respect that requirement when you use that material. Q: I’m using 100+ images from other sources in my presentation. Doing this for all of them seems like a lot of work. Do I really need to do this? A: Yes, you really do. The number of pieces of third-party material is irrelevant. You are welcome to attach a file containing the relevant information about a large number of pieces of third-party material to the rights form, rather than adding each piece of information individually. A: No. Documentation of the research presented at a sponsored event is available for sale through the ACM Digital Library, which makes it a commercial use. Q: What if I can’t contact the owner of an image I want to use in my documentation – I can’t figure out who to contact / I have an e-mail address but it bounces / I have an e-mail address but no one responds? A: If your intended use does not lend itself to a “fair use” argument, and you cannot secure permission from the owner of that image, then you will need to find another image that you can use. Q: The image I want to use is from another SIGGRAPH paper. Do I need to pay a fee to reuse that image in my new SIGGRAPH paper? A: No. If you are preparing documentation for an ACM-sponsored event, and wish to reuse material from another ACM-published work, the fee can be waived. See the “Completing the Copyright Form” section of the ACM Policy on Third-Party Material document. Q: The image I want to use is from a paper published by IEEE. Do I need to pay a fee to reuse that image in my new SIGGRAPH paper? A: If a work is published by an organization other than ACM, and you wish to reuse material from that work, you need to follow their guidelines for reusing material. Q: I’d like to use an image from a SIGGRAPH paper that my colleague wrote. Can I just ask him for permission to use that image? Q: What about my in-person presentation at the conference; I’m presenting my work and have a slide deck to show. What about the third-party material in the slide deck? A: The same policies apply to your primary documentation AND the slide deck and other materials you show during your in-person presentation. Q: I have third-party material in my Papers Fast Forward presentation. Do I need to worry about getting permission to use that material for this presentation? Q: Can I use a thirty-second clip from a Peter Gabriel song as the background music for my Fast Forward presentation? A: Only if you get the proper permission to use it. Q: My employer mandates that my in-person presentation at the conference NOT be recorded or distributed. How does that affect the identification of third-party material in my documentation? A: The third-party material must be identified in the presentation material, but no permission is needed for its use if the material is only presented, and not distributed. Q: What resources exist for public domain and/or Creative Commons-licensed images? A: One useful resource is provided by Creative Commons: search.creativecommons.org is an aggregator of numerous sites offering CC-licensed material, including Flickr, Pixabay, and Wikimedia Commons. Flickr offers another resource: www.flickr.com/commons. 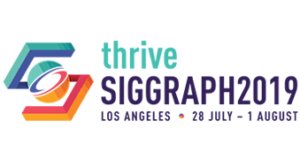 A: I’m happy to help answer them – my e-mail address is spencer@siggraph.org. If I can’t answer them, I know who else to ask.